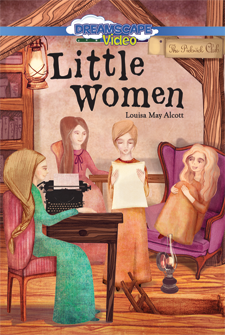 Louisa May Alcott (1832-1888) was a prolific American author known for her novel, Little Women, and its sequels, Little Men and Jo’s Boys. She received instruction from several famous authors, including Henry David Thoreau, Ralph Waldo Emerson, and Nathaniel Hawthorne, and she is commonly considered to be the foremost female novelist of the Gilded Age. A touching collection of Christmas tales. Follow the lives of four sisters as they pass from childhood to womanhood in this American classic.